If it feels like you’ve been seeing more headlines than usual about attempts to restrict abortion rights across the country, it’s not just you. 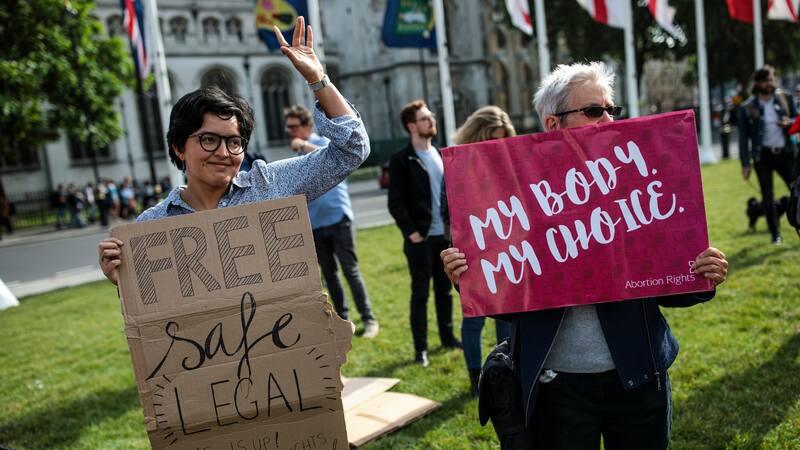 States across the nation have introduced an alarming number of anti-abortion bills in 2019 compared to 2018, according to a new report from Planned Parenthood and the Guttmacher Institute, a research center focused on reproductive health policy. In their 2019 State Abortion Restriction Snapshot, Planned Parenthood and the Guttmacher Institute revealed that 41 states have seen more than 250 bills introduced in state legislatures this year alone. About half of those bills have the goal of banning abortion entirely or in certain circumstances. Six states currently have only one abortion provider serving the whole state: the Dakotas, Missouri, Kentucky, West Virginia, and Mississippi. Compared with 2018, states have also introduced almost 63 percent more six-week abortion bans so far this year. Six-week abortion bans are often called “heartbeat bills” because they attempt to ban abortion once doctors can detect a fetal heartbeat. They effectively amount to a full abortion ban, because many women don’t even realize they’re pregnant until right around or after six weeks. As the Guttmacher Institute explained, numerous six-week abortion bans have already been struck down in court when states passed them in previous years. Now that opponents of reproductive rights see perceived allies in both the White House and the Supreme Court, however, they’ve moved to the forefront of the strategy to overturn Roe v. Wade. “The surge in attempts to ban abortion in the earliest stages of pregnancy drives home that the end goal of anti-abortion politicians and activists is to ban all abortion — at any point during pregnancy and for any reason,” Nash said in the same release, referring to six-week bans. These moves by Republican lawmakers come despite numerous polls showing that a growing majority of Americans support Roe and don’t want to see abortion rights disappear in the United States. And as Wen explained, closing clinics that provide abortion services also prevents women from receiving other necessary care, like cancer screenings, birth control, and STD testing. the so-called “pro-lifers” have really done well at selling society on the notion that they are heroes! That’s why legislatures are granting their wishes. As long as we let them get away with selling themselves as heroes (and they are doing it on the cheap), we’re going to be faced with more of this. I gotta learn that, Chuck. You’re the only one who thinks I’m a hero.